PTRC offers six realistic Other Than American (OTA) venues to accommodate immersive training of any size group. Four are constructed of pressed earth, the building material of one-third of the world. Customers can use a working marketplace, a large village with 130 rooms, and two smaller settlements--each representing a number of cultures and locations. Two nomad yurt villages are also available, housing up to 60 occupants each. PTRC creates an authentic hyper-immersive training environment specifically designed to allow the training audience a maximum number of opportunities to achieve its training objectives. 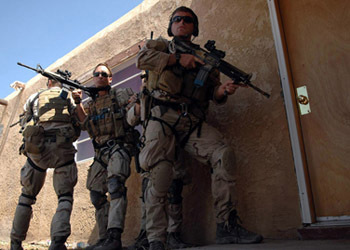 Potential missions include: Integration of joint tactical enablers supporting distributed operation, joint distributed lethal and non-lethal combat operations, airborne insertions (free fall, static line and heavy drop), marksman live fire and high angle live firing, MOUT in an eastern (Iraq, Afghanistan, and Horn of Africa) environment. 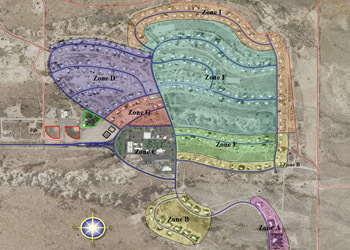 The Playas townsite range provides a complete suburban setting in a 640 acre townsite with a full range of facilities, including 250 single family houses which can house offices and bunks. VIP guest quarters offer full amenities and services. 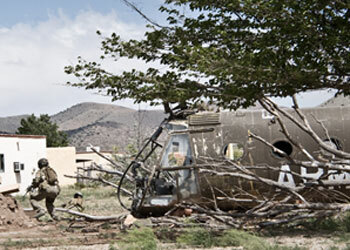 Law Enforcement ranges include driving courses, residence use, and explosives simulation. 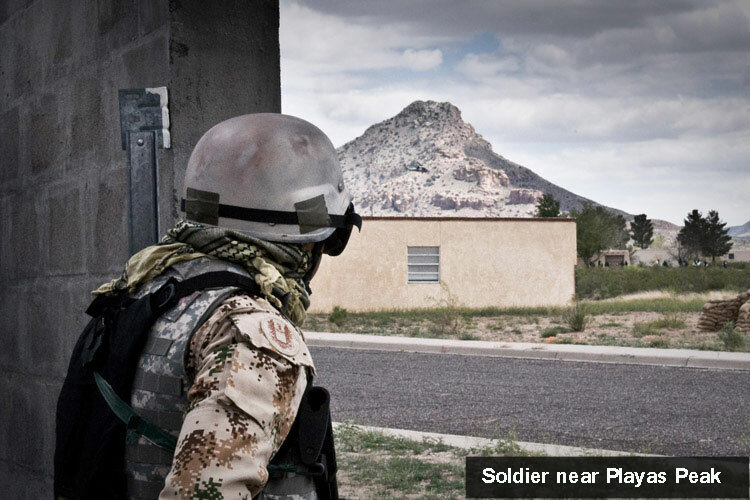 OTA ranges offer cultural, hyper-realistic training. Customers can request custom configuration of traffic and range capability. New Mexico Tech's PTRC and EMRTC bring together world-class facilities, technologies, and experts to deliver a training or research experience aimed at achieving our customers’ goals. EMRTC’s highly regarded training development and research at PTRC include First Responders' Training, urban warfare/MOUT exercises, border protection, anti-terrorism, and counter-insurgency. We are committed to providing our customers with state of the art training venues and support. Our primary goal is to bring together world-class facilities, technologies, and experts to deliver a training or research experience, aimed at achieving our customers' goals. PTRC is managed by the Energetic Materials Research and Testing Center (EMRTC) of New Mexico Tech, a public university located in Socorro, NM. Founded in 1947, EMRTC has earned a renowned reputation in research, testing, and training and is sustained by nationally recognized scientists, engineers, computer analysts, instructors, and technicians. For other affiliates, see link at page bottom. Our current maps are on the Map Center page. View, download, and/or print! PTRC provides a unique, adaptive, controlled, and comprehensive range platform to advance the effectiveness and appropriateness of client tactics, techniques, and procedures. Contact us today for information, to arrange a site visit, or to make PTRC your training choice! Military units were recently involved in training to prepare them for deployment to Afghanistan. Cultural sensitivity and knowing the rules in dealing with native tribes are valuable lessons that help US soldiers navigate the mission of enlisting civilian support against terrorist activities. 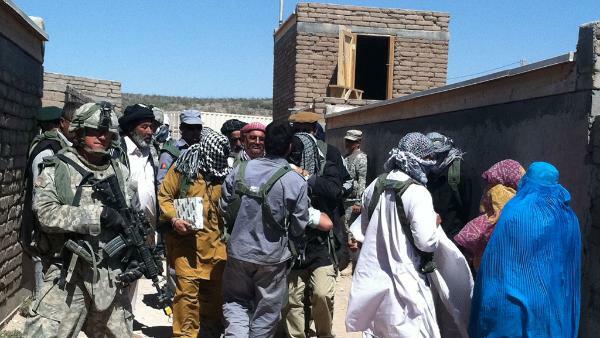 A news crew was on hand as soldiers and Afghan role players interacted. See the story and video here. Check out more news on the News Page. 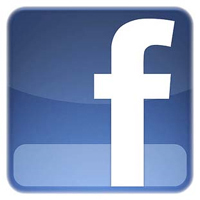 There are many photos and videos on our MediaLink page.